The photo id for this photograph is 53, in the Trains and Railway Lines album. 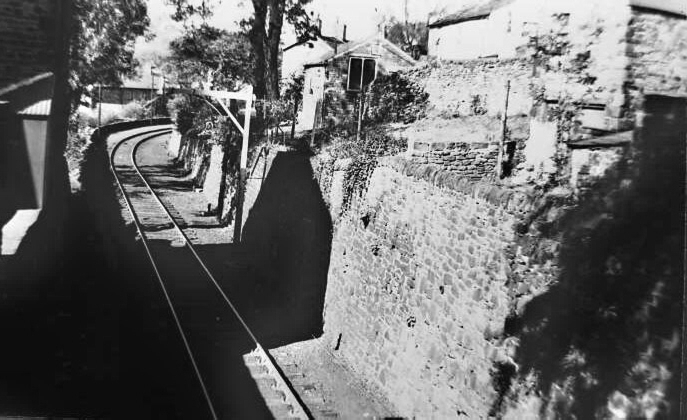 The C&HP line, looking from Chapel Road bridge back towards Whaley Bridge. Probably taken mid 1950s. The 'gallows'-looking feature is a loading gauge, to ensure that the loco and wagons will pass under Chapel Road bridge. This part of the line closed in January 1965.